"Need any help" asked Steven. 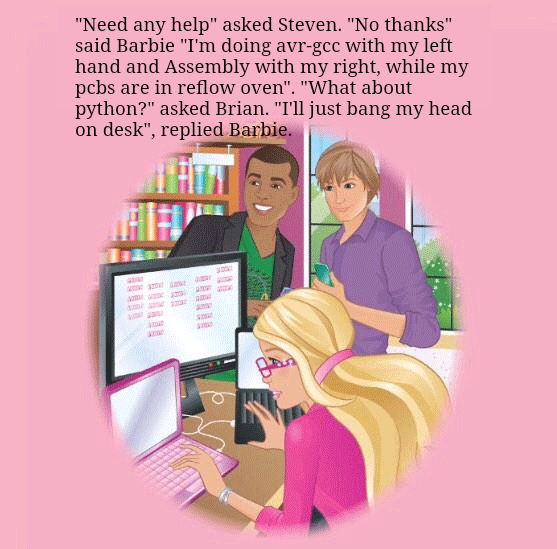 "No thanks" said Barbie "I'm doing avr-gcc with my left hand and Assembly with my right, while my pcbs are in reflow oven". "What about python?" asked Brian. "I'll just bang my head on desk", replied Barbie.